Let’s take a look if love can spark the dying franchise back to life. When Chucky’s remains get found by his ex lover, Tiffany, she too turns into a doll against her will; together they must get to Chucky’s human corpse and retrieve an amulet so they can re-gain their human forms. The best thing about the Bride of Chucky is that it instantly feels like the franchise has moved on, finally leaving the previously repetitive structure. The new story line feels fresh and invigorated; with a splash of comical moments; they introduce and develop new ways of killing while listing out domestic objects that would work for interesting kills: “For God’s sake, Chucky. Drag yourself into the 90′s. Stabbing went out with Bundy and Dahmer. You Look like Martha Stewart with that thing.” The franchise has never lacked interesting and different deaths, but Bride of Chucky certainly raises the bar. This transformation is even true for our leading doll, Chucky, who’s seems to have changed for the best, for the viewer anyway. With Tiffany as a partner in crime and love interest, he’s now able to engage more as a lead character; whereas he’s always been seen as the villain first and foremost. This new position with another doll to engage with allows him to show a more interesting side of his humour without really changing his characteristics or traits. The best example of this is Tiffany challenging Chucky to be creative than killing with a knife, which results in a much more elaborate police car explosion. Despite the good work the two dolls bring to the film, there’s unfortunately a rather annoying love story between the two main human characters. It mostly feels forced and a little uninspiring throughout, but it does work as the vehicle – sometimes literally – for Chucky and Tiffany to drive the film, and the entertainment brought by the doll pair sweeps this minor hiccup under the carpet. In an interesting twist, the dolls now seem to control the humans by effecting their surroundings and events while remaining unseen, working like puppets and puppet masters but in complete role reversal. 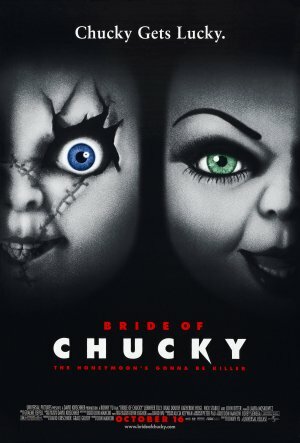 After a faltering first three films that never seemed to progress past Andy growing up, Bride of Chucky brings a much needed freshness to the franchise with a new partner in crime and a breakout from the mould set by the film’s predecessors. Was this your favourite of the franchise too? 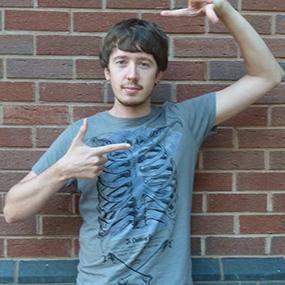 How does the film shape up with a new love interest? Let us know below.